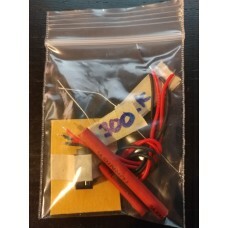 EVERYTHING YOU NEED EXCEPT TOOLS AND EPOXY TO MOD YOUR HOME MINI2 x double length silicone wire piec..
OPTION OF PCB ONLY, DIY KIT or FULLY ASSEMBLEDContents:PCB ONLY:1 x Solar Dashboard PCBKIT: &nb.. Newer version available for installation inside home mini! This one is still useful for moddin.. This kit will allow you to modify your home mini to allow line in for external microphone, and line .. User Manual Link -> https://tinyurl.com/j4000-manualSnekTek J4000 4 Channel Glue Distance Type Pa..